Things would be a lot smoother if our skin was smoother. In fact, because shaving, waxing and tweezing take up so much time within our daily routines, it can be argued that hair removal is the most tedious part of our grooming regimens. It’s time consuming, of course. Not only that, but it’s expensive too. Think about how much you spend in a month on hair removal products. You have your shaving creams and razors; your electric shavers (and don’t forget the batteries); your tweezers and wax strips – and, of course, you need your moisturizers and lotions to help soothe the skin once the hair has been removed. 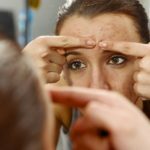 As we’ve all experienced, however, these hair removal techniques are not permanent. In addition, they often cause about as much trouble as they do a solution to unwanted hair. Sure, the hair is removed – for a short period of time – but sometimes hair removal leaves other issues in their wake. Razor bumps are the most notorious, it seems. As LiveStrong.com explains it, razor bumps or ingrown hairs are formed when the cut hair grows back into your skin instead of out of it. The problem is generally worse for those who have curly or coarse hair. These bumps are often red, irritable and unsightly. Bottom line: they are no fun. Some people find that tweezing helps to avoid razor bumps. But can you imagine how long (and not to mention painful) it would be to tweeze an entire leg? Plucking hair is easily the most time-consuming hair removal activity there is. And let’s be honest, it hurts. A few loose hairs here and there can be tweezed easily, but a long-term, wide-ranging hair removal technique, tweezing is not. What about those hair removal creams? They’ve got to be a lot quicker and more painless than shaving or tweezing, right? Well, as LiveStrong.com points out, many of these products contain chemicals that are harmful to the skin. We’ve heard of many incidents where people report getting rashes and experiencing soreness and irritation after using hair removal creams. So what is the ultimate solution to removing unwanted hair? That would Laser Hair Removal, of course. This is a treatment that uses special lasers to remove unwanted hair that helps patients to avoid the many natural pitfalls that come with traditional hair removal activities. 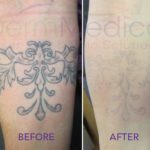 In addition to avoiding razor bumps, rashes and other pain-inducing ramifications, Laser Hair Removal also solves the long-term goal of removing hair. And that lies in the fact that it disposes of unwanted hair permanently. Imagine the money you would be saving if you never again had to purchase shaving creams, razors, shavers (and their batteries), tweezers and wax strips. For more information, on Laser Hair Removal, contact your skin care specialist today.